Gurim Campers Have Arrived at Yavneh! What an amazing open ing day at Camp Yavneh!!!! Everyone came through the doors of the tzrif (bunk) with smiling faces and ready for this amazing kayitz (summer). 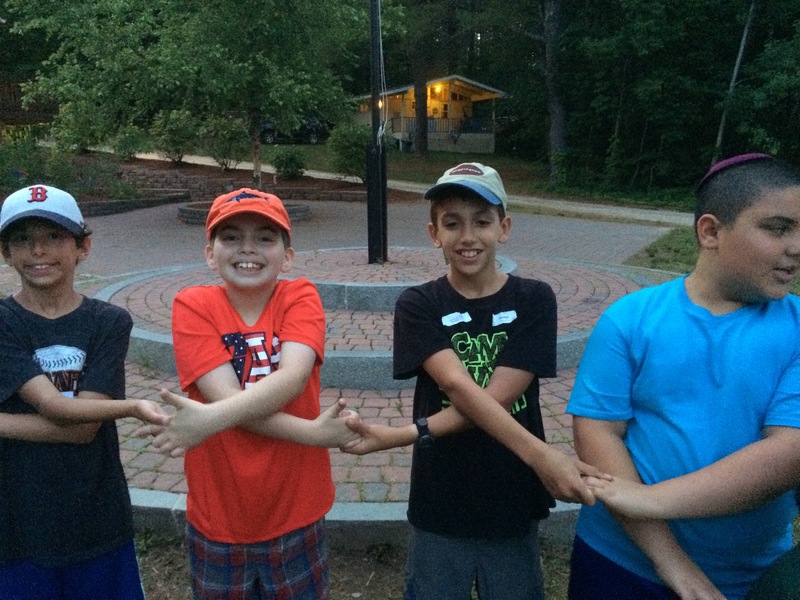 After unpacking, the Gurim chanichim (campers) were able to meet each other through different games and ice breakers. We then had our first mifkad of the summer, which is when we gather around the toren (flagpole) as a camp. From there, we went to the chadar ochel to eat a great lunch, PIZZA!! The food was really good and filled up our tummies. Shaat menucha (rest hour), after aruchat tzorayim (lunch), was awesome. It gave us time to play some laid-back games in and around the bunk after such a long morning. Then came the tour of the camp, where the chanichim learned about the different places around Camp Yavneh. Following the tour the banim split into the two bunks, one played soccer and the other playing wiffle ball. Many goals and runs were scored while having a blast. The banot also split up into older and younger Gurim. Younger Gurim learned a Yavneh class – Newcomb! The banot had great sportsmanship and had extra time at the end to play l’malah l’matah (over and under). The other bunk had the opportunity to learn yoga from our very own yoga certified madrichah (counselor), Kayla! After our peulot, all of Gurim went back to the tzrifim. We had a discussion about the rules of the bunk. Many ideas were brought up and were put on the list in the middle of the tzrif. The most important one being, HAVING FUN. During dinner, the entire camp broke out into song and sang z’mirot. The chadar ochel was filled with ruach and dance. It was so much fun. After, Gurim went back to the toren to start Erev Round Robin. 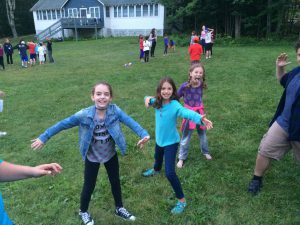 The chanichim were divided into groups to play games at 8 different stations including freeze dance, ninja, and stuck in the mud tag! We ended the night singing rad hayom and everyone went up to the tzrifim to get a great rest for another day full of fun! We enjoyed meeting all of you at opening day and can’t wait to spend time with your children this summer! Our first day together was a best and we have high hopes for the rest of the summer.